Lorraine Cahill is a professional artist who specializes in oil painting, watercolor, and fiber art. 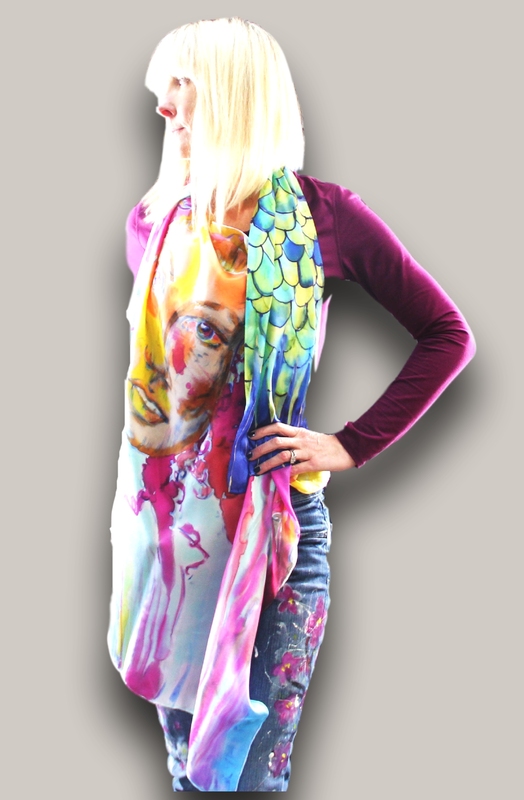 She enjoys plein air painting or working outside of her studio, dye painting silk fabric for wearable art. She has experience in painting all types of material & surfaces including interior & exterior walls, designs on cars, furniture, fashion fabrics, costumes (stage & movies). Lorraine has a BFA from Moore College of Art & Design in Textile Design and a minor in Fashion Design. Prior to attending Moore she studied silk painting & fabric dying with the Japanese designer, Kumiko Murashima and studied classical painting in Moscow, Russia. The two different disciplines laid the technical foundation in her future as an artist.